There are few things better than strolling down the street with a cold drink in hand. Unfortunately, for a country founded on independence and freedom, the United States restricts this simple pleasure to only a few dozen spots—and the laws aren’t always clear. For example, some towns allow public drinking anywhere within the town limits. Other municipalities allow open containers only in specific entertainment districts within the city. These are some of the best libation-friendly locales, along with details about what the drinking law allows—and the best time of year to wave that drink around in public. If you’ve ever been to Savannah, you know that the beauty of this idyllic seaport is limitless. You’ll find oak trees draped in Spanish moss, ornate fountains, cobblestone streets and a treasure trove of magnificent architectural styles. You’ll also discover that this quaint southern city has no open container laws. 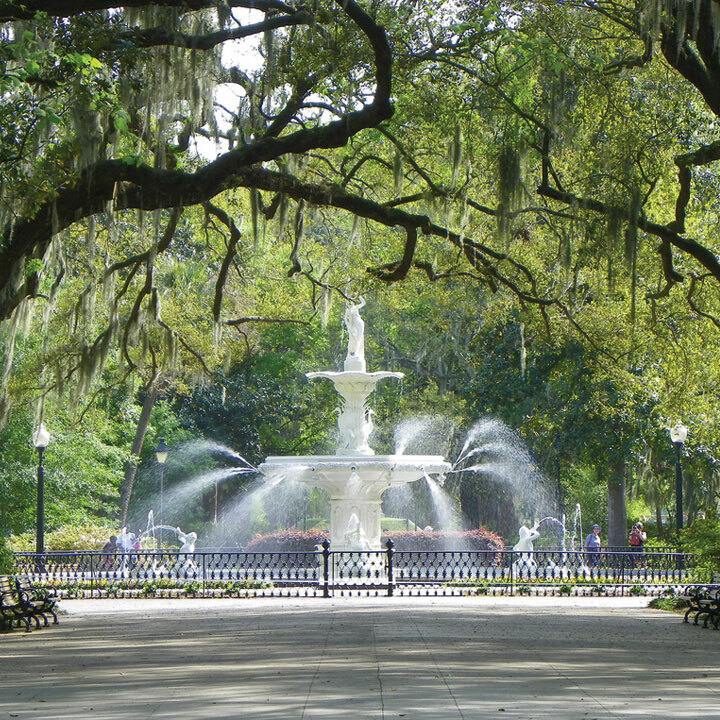 To get the full Savannah experience, relax with a cold one in Johnson Square Park. When to Visit: Catch the grandeur of Savannah between March and July. This is the time of year when the flowers and trees will be in full bloom. It’s also prime time for festival season. We recommend the Savannah Music Festival, which usually takes place in late March and early April. Known as a haven for outdoorsy types, this river town is also kind to drinkers. The law of the land in Hood River states that it’s perfectly fine to walk around with a beverage in hand. Want to buy a tall boy from the corner bodega and roam the sidewalks? No problem! The only exception is that you can’t take a drink purchased from a bartender out of the venue where it was served. 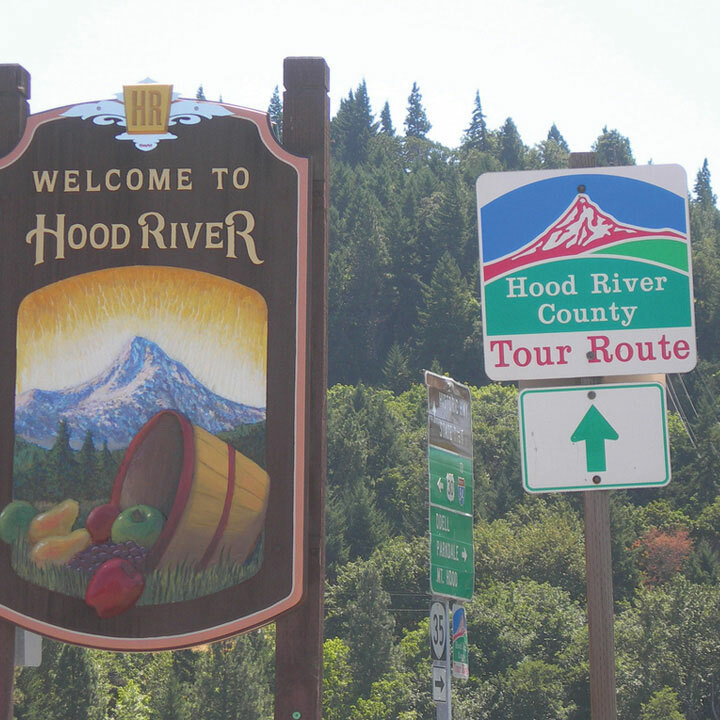 Best time to visit: The annual Hood River Hops Fest is a paradise for beer lovers. The September event features more than 60 fresh-hop beers, regional wines and live music. It makes sense that one of America’s top wine towns would look the other way when it comes to enjoying a nice glass of wine in the park. Though you can’t drink openly everywhere in town, you can relax with your favorite alcoholic beverage in Sonoma Plaza, the only park in Sonoma that allows such indulgences. Best time to visit: The most popular time of year to visit wine country is June through October. Try the Sonoma County Harvest Fair, which is held in October. 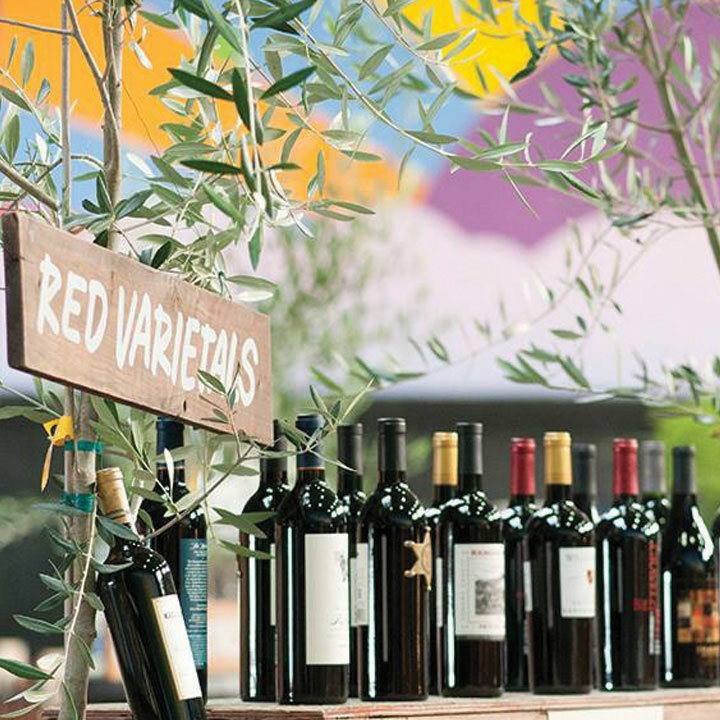 The annual event features world-class wines, craft beers and award-winning food. 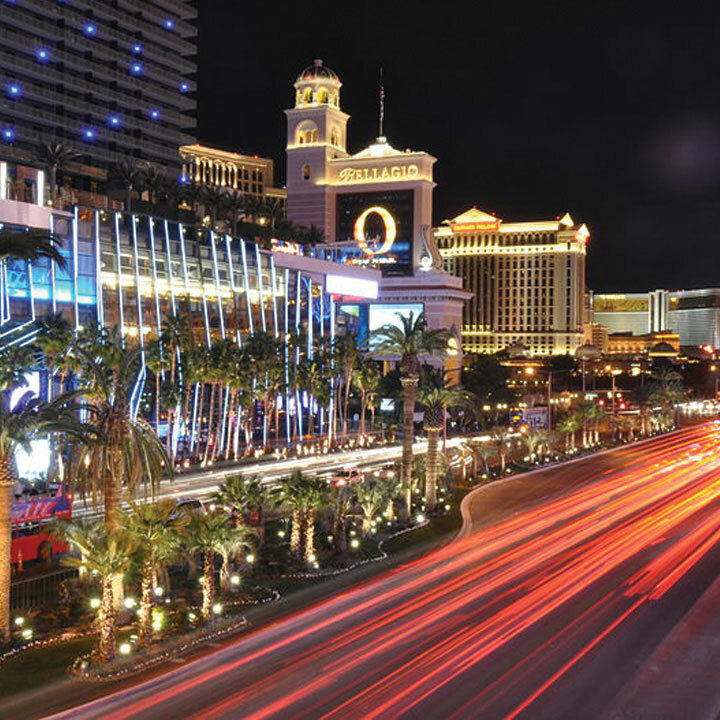 It’s only natural that Sin City allows visitors to take in the sights and sounds of the legendary gambling city while boozing. Of course, even America’s Playground has its limitations. Open containers are limited to the Strip, and glass containers are a no-no. Best time to visit: Beat the desert heat by planning your visit for spring or fall. Also, aim for Tuesday through Thursday, as room rates tend to be cheaper during the week. Founded by Germans in 1846, the small town of Fredericksburg, Texas, remains true to its roots. Located an hour and half west of Austin, Fredericksburg allows the consumption of beer and wine (sorry, no liquor) on the streets of its shopping district. 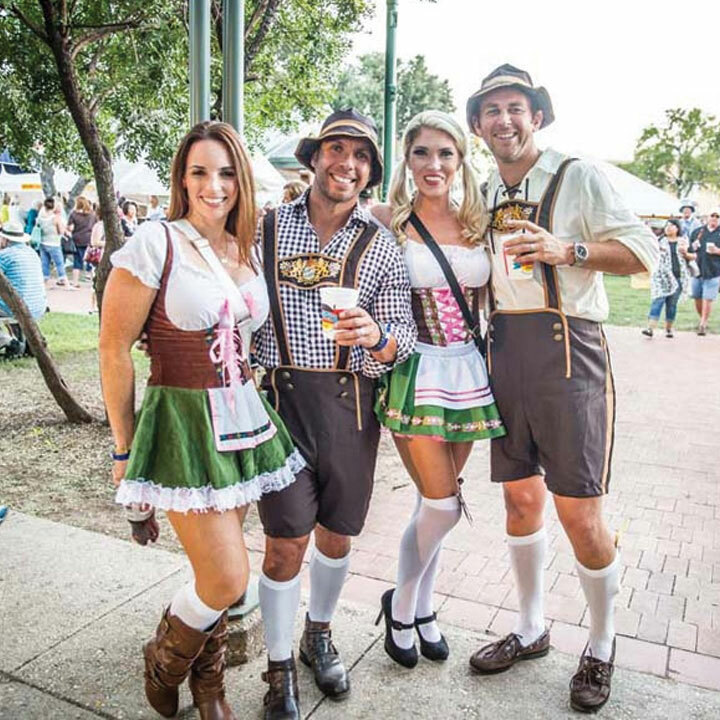 Best time to visit: Take part in the town’s German heritage celebration during Oktoberfest in early October. Highlights include a plethora of German foods, music and activities. The annual festival also offers an impressive selection of 65 domestic, import and craft beers. Known for blues, Elvis Presley and barbecue, Memphis is considered one of America’s great cultural institutions. 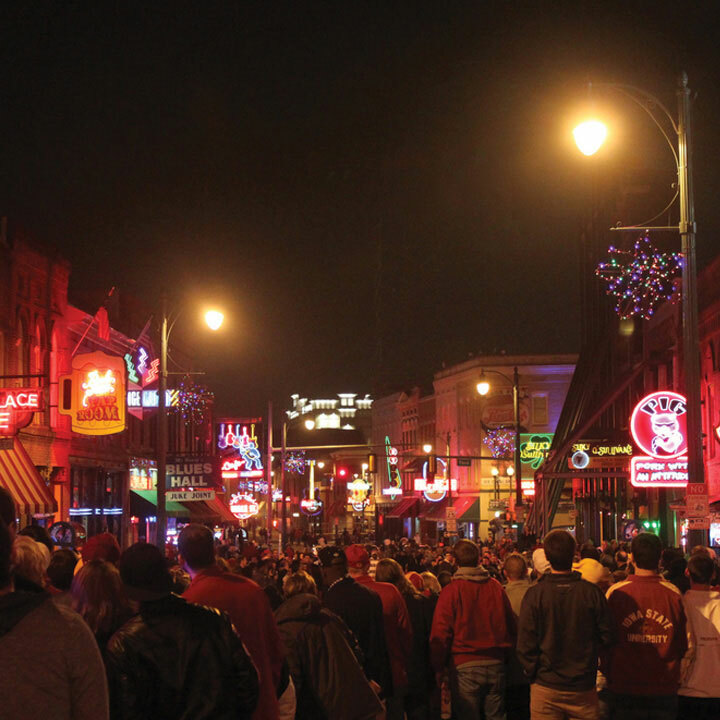 The city’s legendary Beale Street also has the distinction of being exempt from the statewide ban on open containers, making this Tennessee town a must-visit for those who like to wet their whistle. Best time to visit: The annual Beale Street Music Festival held in May offers some of the biggest names in music. Looking for something a little quirkier? Opt for Elvis Week, held every August. No list of boozy locales would be complete without the Big Easy. The legendary home to Mardi Gras earns its reputation as a hard-partying city by allowing people to openly drink anywhere in town, as long as you don’t have any glass. So grab a handful of beads and an icy cold brew and let the good times roll. 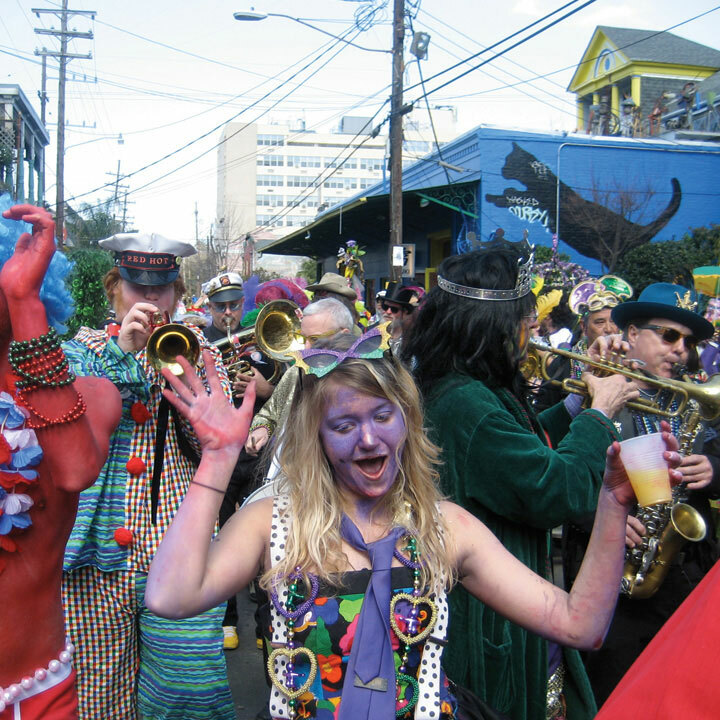 Best time to visit: Dive headfirst into the biggest party in the world by planning your visit to coincide with Mardi Gras, which usually lands in early February.